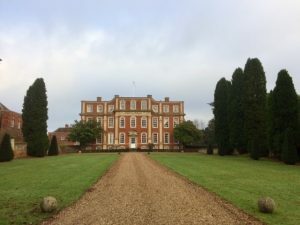 At the beginning of December, a small group of auditory neuroscientists gathered in the beautiful setting of the Royal Society’s Chicheley Hall in Buckinghamshire. Over two days of a great scientific programme curated by Andrei Kozlov (Imperial College) and Joerg Albert (UCL Ear Institute), researchers focusing on all possible stages of the auditory pathway confronted respective perspectives on the differences and similarities of hearing across species. It was a very successful meeting filled with high-quality and thought-provoking content. I enjoyed very good discussions with excellent people, received useful feedback on my work, met old friends and made new ones.